Chrysler has issued two separate recalls on Ram pickup trucks addressing exterior lighting problems and front axle issues. As a result, the malfunctioning turn signal will not notify other drivers on the road that the vehicle is turning—thus increasing the risk of a crash. The recall only concerns Ram trucks equipped with optional premium tail lamps. Chrysler discovered the defect during routine engineer testing. The automaker will begin notifying customers of the recall next month. Authorized Chrysler dealers will reprogram the Central Body Controller software at no cost to the owner. The second recall involves 6,900 model year 2012 Ram 4500 and 5500 trucks, which may contain a faulty front axle that could fracture and cause the truck to lose power. According to Chrysler, the front prop shaft, which connects the engine to the axle, may fracture. Chrysler began investigating the problem after receiving two reports of damage. Dealers will repair the front axles free of charge. The recall is expected to begin in July 2013. There have been no reports of accidents or injuries related to either recall, said Chrysler. 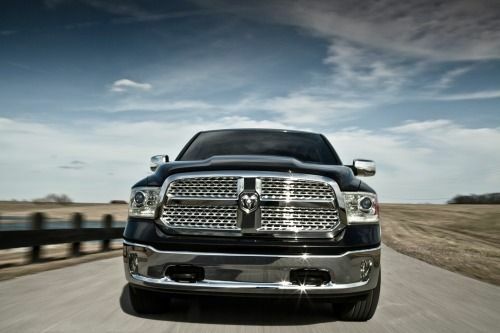 In the meantime, owners impacted by either recall may contact Chrysler at 1-800-247-9753. Concerned drivers may also contact the National Highway Traffic Safety Administration’s Vehicle Safety Hotline at 1-888-327-4236 or visit www.safercar.gov. The pair of recalls comes just days after Chrysler recalled nearly 15,000 model year 2013 Dodge Dart vehicles containing 1.4-liter four-cylinder engines and dual-clutch automatic transmissions. According to documents filed with the NHTSA, certain vehicles may be susceptible to engine stalling in cold weather conditions. The recall-prone Chrysler also issued a pair of recalls last week, one of which concerns 400,000 model year 2010-2012 Jeep Compass and Patriot SUVs. The vehicles in question may contain a software anomaly, which may result in delayed deployment or non-deployment of side airbags and/or seatbelt pre-tensioners. Chrysler’s other recall involves about 220,000 model year 2012-2013 Jeep Wrangler SUVs that may suffer from transmission fluid leakage. In extreme cases, the fluid loss may result in total failure of transmission function. Chrysler is unaware of any accidents or injuries related to any of the recalls.